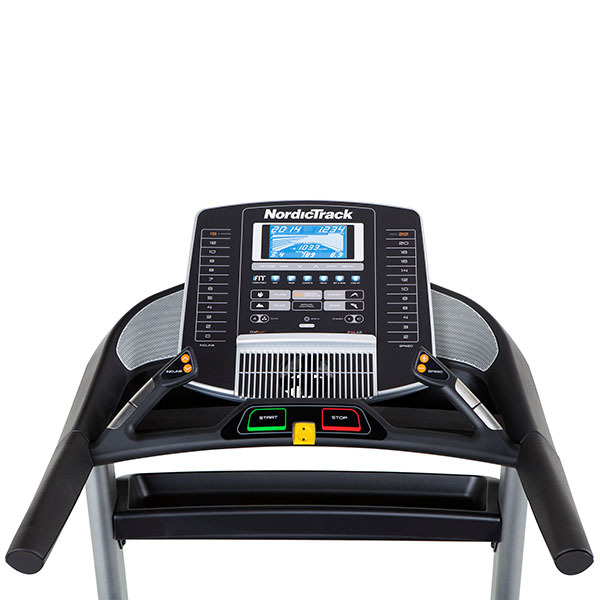 NordicTrack are one of the most trusted brands in home fitness. Their experience spans over 20 years and during that time they have developed a reputation for producing advanced, reasonably priced machines that are jam-packed with features. With this sort of expertise, we’re always looking forward to see what their machines have to offer. 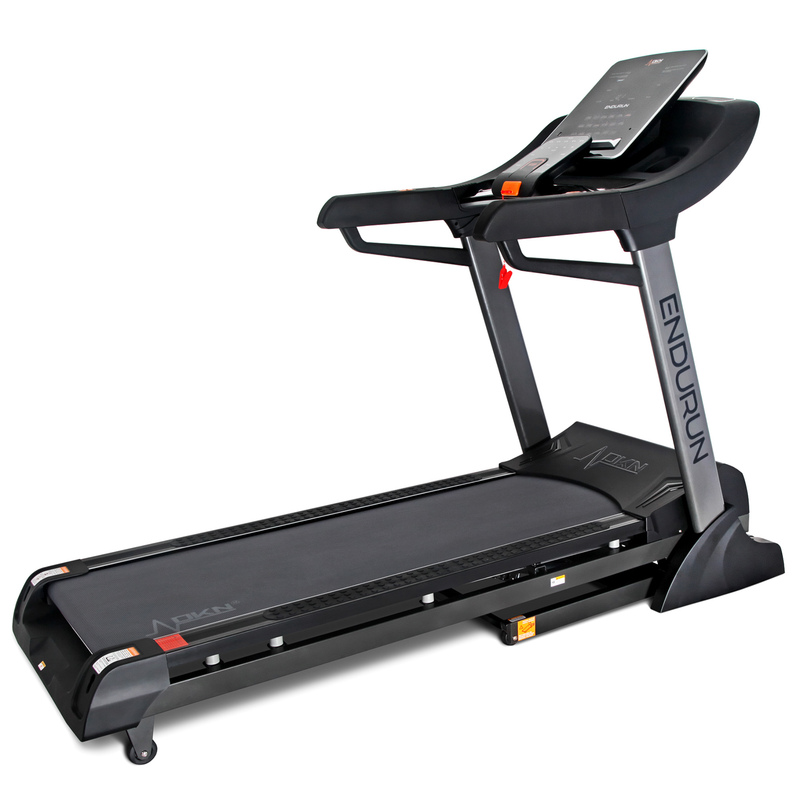 So how did the T17.5 treadmill do when it arrived at our offices for testing? Firstly the assembly – The manual works pretty well but with 23 (yes that’s twenty-three, not a typo!) steps of assembly the people at NordicTrack are testing the patience of a saint! We’d respectfully suggest that for this sort of money, having to fit the transport wheels (down to the detail of fitting wheel spacers) as well the safety bar with the hydraulic lift piston amongst other things this is taking the idea of self-assembly a touch too far. 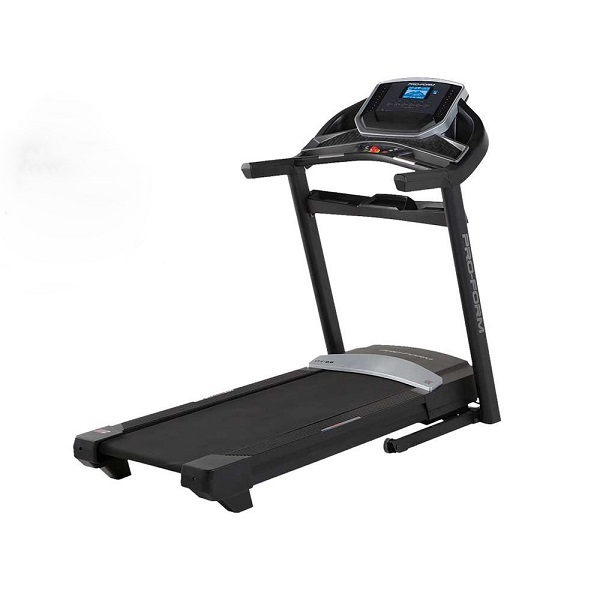 These are parts that are factory assembled as standard on pretty much every single treadmill model out there, with very few exceptions at the budget end of the market. 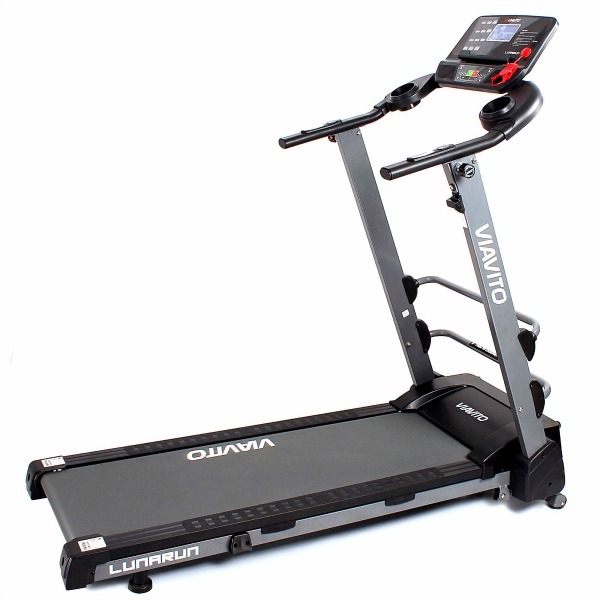 We know it’s a self-build machine, but supply this treadmill in any less an assembled state than this and you’ll need a pro workshop complete with tools and some sort of qualification to build it! Putting this beast together took our experienced hands nearly two hours (and we’ve built an awful lot of treadmills), so be warned, there’s a lot of tinkering and tightening in awkward places before you’re ready to go. Once done, this large, imposing treadmill looks great, though after enduring the assembly process it’s hard to appreciate it. We’d recommend that once the build is done, go and have a cup of tea in the garden to relax, then come back again and view your handywork in a new light. Joking aside, once built this is obviously a very hefty bit of kit and we were really eager to give it a go. Although protracted assembly is quite typical of a NordicTrack machine, so too are powerful motors and spacious running areas and we were happy to see those two assets present. There’s plenty of power being generated from the 3.0hp continuous duty motor which performed relatively quietly but did get a little noisy when flying along at the maximum speed of over 13 mph. Bigger rollers equal less stress on the motor which is reassuring from a life expectancy point of view, however, there is also the peace of mind you get from the 10-year guarantee on the motor as well as a lifetime warranty on the frame and 2 years parts and labour. 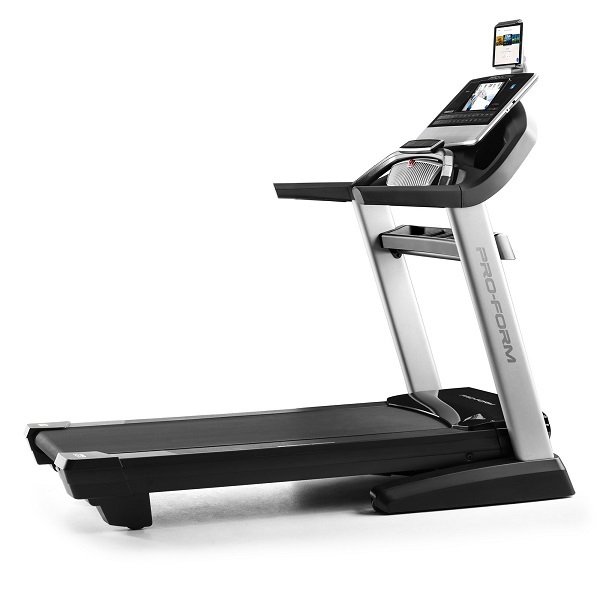 In most walks of modern life, lighter equals better but not in the world of treadmills. The build quality seems good but we were surprised to see two things. The first is the actual machine weight. 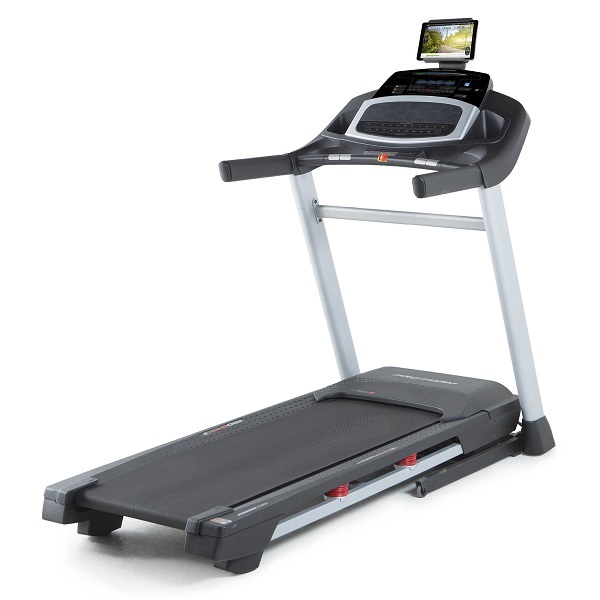 This is significantly less as compared with some NordicTrack models at similar price points. The T17.5 weighs in at a mere 89kg (196lbs), we’ve seen higher in ‘lesser’ models out there. This is important because added weight is usually down to the gauge of the steel the frame is built from and thus usually has a bearing how strong it is. The second was the maximum user weight. This is a respectable 118kg (18.58 stone) so should be good enough for the majority of buyers but at the same time it’s less than other NordicTrack models at around the same price point which we’ve seen at as much as 135kg (21.25 stone). Whether you’re a heavier, taller user or simply one that wants to stride out, the 51cm x 152cm (20’’x 60’’) running area offers plenty of room to do so. Certainly, heavier users and joggers will benefit from the deck’s shock absorbency and it will undoubtedly appeal to those aiming at slower-paced ‘weight loss’ sessions, or runners who want to protect their joints from the pounding that can often be associated with relentless, repetitive impacts. However, that won’t suit everyone. If you’re concerned with personal best times rather than your joints you may be happier with a firmer platform to launch off and the T17.5 provides the option for getting this via its FlexSelect cushioning. A simple turn of the orange cushions and you can convert the surface into a much firmer one. A really nice feature to have and it’ll certainly allow you to set up the treadmill for the type of running that’s best for you. 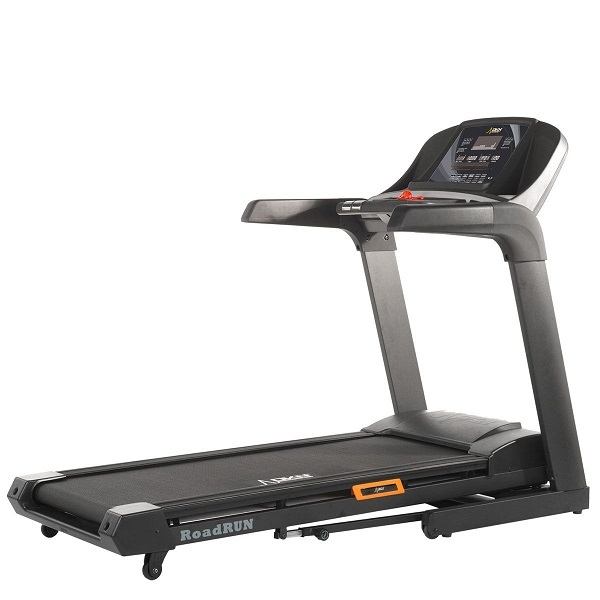 The large running surface and adjustable cushioning system, really come into their own when set uphill. If you want to punish your legs as well as getting your heart pumping then you can set the gradient anywhere up to really mean 15%! ‘Quick keys’ are a good thing (they’re particularly useful for interval training) and, as found on most treadmills these days, there’s a selection of these one-touch controls on the console. 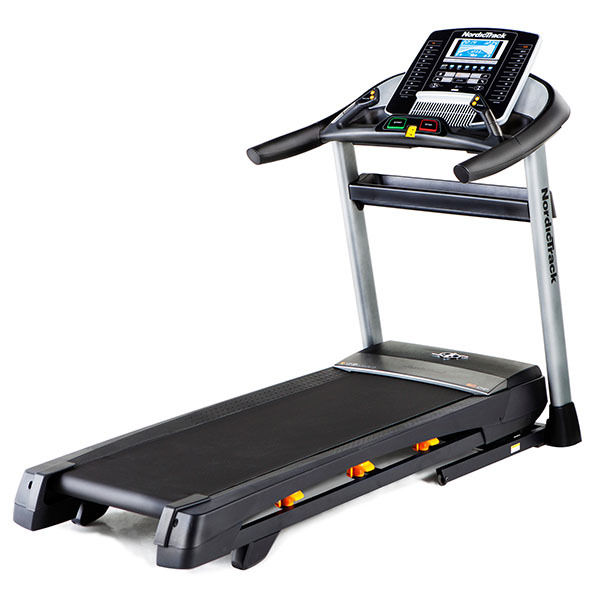 Either side of the display is a strip of keys to make instant adjustments to both incline and speed. While there’s a built-in wireless receiver for accurate heart rate monitoring, unfortunately, there are no Heart Rate controlled programmes that would have further made use of a chest belt, but at least, the inclusion of it allows you to get better accuracy of your heart rate readings. What goes some way to making up for the absence of HRC is the large array of other inbuilt programs. There are 32 of them(!) and thankfully the clear, user-friendly layout of the console makes for easy navigation. The 32 programmes are divided into 4 groups including calorie workouts, intensity workouts, incline sessions and speed sessions. As the title of the buttons suggests, they are designed to be especially effective in achieving certain goals. The T17.5 is iFit live compatible so there’s the possibility of further expanding your training options. Once you insert an iFit Module into the dock on the top of the console and subscribe to the iFit website you can download more programs, track your progress, plus the software is powered by Google Maps, so you can plot your very own running routes anywhere around the world. It’s impossible to tell you all about the options available to you through iFit live in a quick paragraph, just as it’s also unlikely that anyone can get a lot from it without some time and perseverance spent in getting to know the software! This is technology suited to the more patient users out there, rather than those who are looking for a plug in and play machine. There’s also a music player connection which sounded surprisingly clear and crisp through the inbuilt speakers (well, as much as treadmill speakers can anyway). The fan also does a pretty good job helping to cool you down a bit and there’s plenty of accessory storage as well as that all important tablet holder so you can watch your favourite shows during your run. The T17.5 comes with NordicTrack’s standard lifetime frame, 10 years motor and 2 years parts and labour warranty – just don’t forget to register it with NT or you’ll forfeit the second year!!! All in all the T17.5 is a decent machine that offers a good spec with some bells and whistles although it lacks HRC programmes. 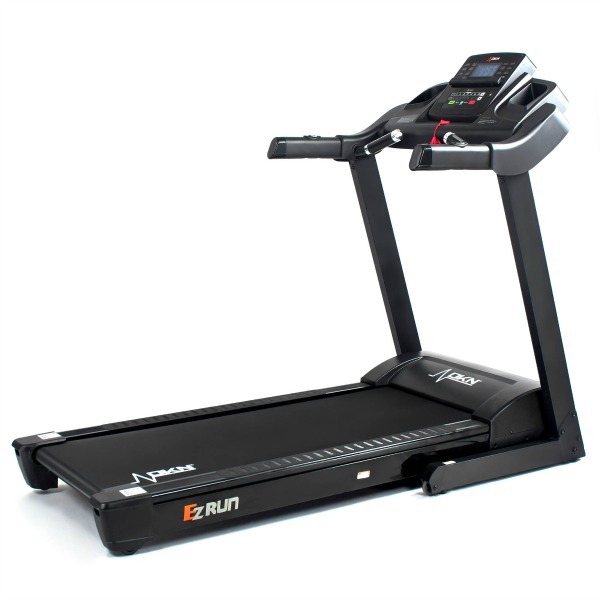 So why not look at the very impressive DKN Roadrunner i, which is currently on offer and is without a doubt the superior machine.